PaddyPower has reacted to the potential equine flu outbreak by announcing they are now non runner no bet on every race at Cheltenham. 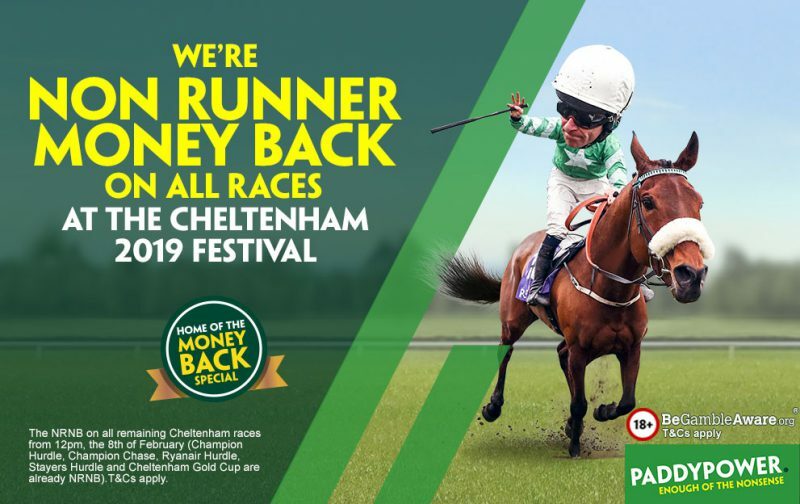 Bookmakers do not normally introduce NRNB so early but with doubts over whether Cheltenham will take place, PaddyPower have reacted to make sure punters are covered if they choose to have a bet. The company announced: “We’ve just gone non runner no bet on ALL 28 races at next month’s Cheltenham Festival, to back up our five NRNB Festival race offer from early January. “What a time to be alive! From Friday February 8, you will get your stake back on any horse that is a non runner in that race. “So if you back, for some mad reason, Presenting Percy to win the Stayers’ Hurdle and he runs in the Gold Cup as intended – don’t sweat it! “Your Stayers Hurdle stake is refunded to play again as you like. And it’s the same deal now for all 28 races.